A former geneticist who left his career to become a Buddhist monk, Matthieu Ricard demonstrated in Happiness that true happiness is not tied to fleeting moments or sensations; instead it is an enduring state rooted in mindfulness and compassion for others. Here he expands on this idea, arguing that altruism, the genuine concern for the well-being of others, could be the saving of our world in the 21st century. 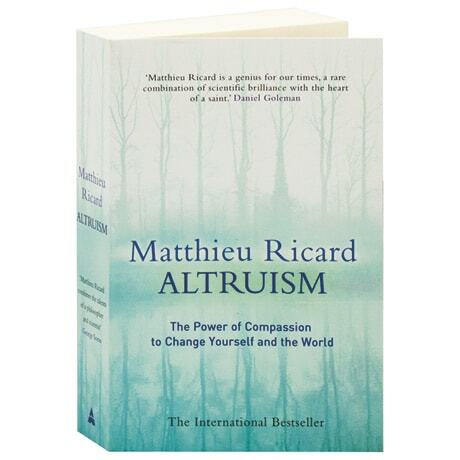 Applying altruism to the main challenges of our times—the economy in the short term, the satisfaction of living well in the mid-term, and preserving the environment in the long term—Ricard's message has been taken up by economists and thinkers like Dennis Snower, Amartya Sen, Joseph Stiglitz, and George Soros.